Surely, Marc Anthony had salsa roots. There must have at least been some point in his childhood when he sang salsa for his parents and siblings, or something. Based on Marc Anthony's first musical published musical appearance in 1991, you'd think stuff like his "Latin crossover" eponymous 1999 album was returning to his "roots" instead of the other way around. Anthony actually is an American, so it's not like he brought back the music from his homeland! So, here is Anthony's oft-neglected first album! It's straight house/techno music that's along similar lines as Madonna's Erotica released a year later. As far as I'm concerned, it's oft-neglected for pretty good reasons, because it's kind of crappy. This isn't necessarily worse than the tripe he would try pulling off later in his career, but that doesn't forgive the fact that this album doesn't make too great of a listen. As I know the story, this house/techno producer named Little Louie wanted someone to sing on his new album, so he found this 2,000 year old Roman guy for the duties. Of course, Anthony had nothing to do with the songwriting or production. That's no big shakes, because he had nothing to do with the songwriting or production of his real debut, Otra Nota. I'll tell you that I enjoy listening to Anthony's voice on some occasions, but he sounds like he thought he was much better a singer than he really is. He's slightly nauseating and rather frilly; I suspect that Anthony wasn't given time to rehearse this much. Not that it would have helped. Practically all of this is woefully overextended house/techno songs that start getting old already by the first thirty seconds. Mercifully, however, the album does contain two rather surprising highlights, which at least proves to me this "Little Louie" man wasn't all that bad. First of all, there's some especially nice instrumental touches contained in "If I Had the Opportunity." I also enjoyed listening to their instrumental "The Masters at Work." It wasn't quite worthy as the egotistical song title they decided to dub it, but it's a nice bongo-heavy track with the unique idea to add some jazzy, dissonant piano chords. For some reason, two people in serious running to be voted as the prom king and queen from Hell (Michael Bolton and Diane Warren) surface here with one of the album's only ballads, "Walk Away." I think you might actually want to run away from that thing. "Time" is probably the worst of all the house/techno songs. That one's not just dead dull, but it's thoroughly obnoxious. Hiding under the guise as a bonus track, an eight minute instrumental "Ride" is absolutely the worst of the worst. I could only bear to listen to that song once, and even then I fear it did some serious brain damage. It's mind-boggling how annoying it is; I have to bear through that unchanging, wholly generic groove until, by the graces of God, eight minutes has finally passed. I'd rather spend that time electrocuting my eyeballs. It's true this album might be dang awful, but it has one thing going for it: It's actually a little bit better than I expected. Yeah, it's boring and stupid, and the lowlights greatly outweigh the highlights, but at least it's not such an abysmal experience. Furthermore, I had a much better time with it when I was listening to it before writing the track reviews when I wasn't paying that close attention. So, if you decide to listen to this album, your best bet is to not really listen to it. Marc Anthony. One of the big Latin superstars of today. Julius Caesar. His ally. The friends. The countrymen. The Romans. Lend him your ears. Wait, don't lend Marc Anthony your ears. In fact my best advise to you is to forget that Marc Anthony ever existed and listen to something else. He never once put out a salsa album worth listening to and, of course, his adult contemporary albums are worthless. Why I can't take my own advise is the stuff of legends.............. Or maybe it's because I'm a nutter. Yeah, I'm a nutter. 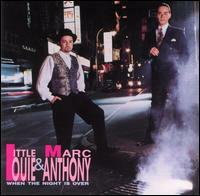 The whole reason there is even a Marc Antony page on this site is for one reason alone: The picture on this album cover. In early 2004, I took one look at it and thought that was the funniest freaking thing I ever saw. It looked to me like he's sitting on the toilet and having a particularly pleasant bowel movement. This was the very first inductee of an exclusive club that now includes two other albums: Melissa Etheridge's debut and Justin Guarini's debut. Con-crap-ulations! 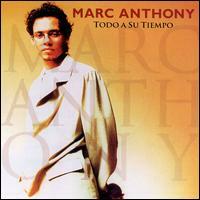 As expected, Marc Anthony makes the big jump to salsa, except this is only slightly better than the previous album. The musical quality is as cheap as it gets! It seems like salsa music should have that Latin passion and sexual drive to it, but this has about as much fake passion as Mr. Toilet Face there. Come on guys! I don't want my salsa mild! I want my salsa SPICY HOT! I don't want my salsa made in New York City. I want my salsa made in SAN ANTONIO! ... Hm, come to think of it, Marc Anthony himself was made in New York City. That figures. To make matters worse, all the salsa songs sound alike to me. That might make me a musical racist, but it nevertheless took a serious toll on me as a listener. Even with the material as weak as it is, but if they only would have given this more variety, then there's no reason this couldn't have been an 8-scoring work. Nonetheless, this is a high 7. Compared to the 1991 album, the out-of-place Michael Bolton ballad was replaced with an out-of-place Bread cover, "Make it With You." Sure, that's like replacing the rotten fish with a rotten slug, but at least it doesn't have such a rancid smell. Not to say that I'm disappointed at all. This is just like you'd expect from half-price music. Before I get into the gritty nitty, let's have a little play acting to get us in the mood. Marc Anthony: [stately] Friends, Romans, countrymen. Lend me your ears! The Friends: [shouting quizzically] Ears? The Romans: [shouting baffledly] Doesn't he already have two? The Countrymen: [shouting with much inquiryness] Judging by his debut album, he doesn't. Marc Anthony: [even statlier] Hark! I do not want the ears on the side of your heads! I want ears of corn! Methinks I shall have a picnic! This is going to be the last time I bring up the subject of Julius Caesar in a Marc Anthony review. Getting down to business, and I have mighty good news for you! The first bit is something that you've probably noticed already: The album cover is better. Instead of looking like he's taking a pleasurable crap, he looks more like a landowner. However, as the saying goes, you can't judge a book by its cover, even if it's in Spanish, so what's the music like inside? Well, it's average. Maybe slightly above average. I'm as farthest as it gets to being an Anthony fan, but I do consider him an extremely tolerable fellow in this album. If ever would be forced to hear contemporary salsa/tropical music, Marc Anthony probably be what I'd pick. Heck, even Otra Nota was tolerable. Crappy, but tolerable. Todo A Su Tiempo is a better album than the predecessor on all accounts. The melodies are better and the instrumentation is greatly improved. I still get the general feeling that all salsa music sounds alike, but this album has a few enjoyable moments. "Se Me Sigue Olivdando" gets the album off to a positive start with a nice lite-salsa song. It's not memorable in the least, but it's a pleasant thing to sit back and soak up. "Hasta Ayer" manages to be both Latin and not have that same ole salsa rhythm section. The only truly inspired moment (and even then I think I might be stretching it) is "Te Conozco Bien," which features an especially likable vocal performance. If every track sounded like those, then this would be quite a nice album! Instead, the presence of some blander songs keeps it from achieving this level. The back-to-back salsa number "Nadie Como Ella" and "Te Amare" are just as dull as anything from Otra Nota, and they just had to write a corny ballad, "Y Sigues Siendo Tu." The only thing that song has going for it is that it's not nearly as bad as the Michael Bolton song. Yeesh! Obviously, what Anthony ought to think about doing at some point in his career is rise to the occasion and actually start trying to create timeless music. I'm optimistically thinking that somewhere under that cute-boy exterior, there's a real artist. Unfortunately, Anthony seemed far more interested in spending his time working out at the gym so that he could appear on his album sleeves without a shirt on. So, even though Todo A Su Tiempo can rightly be considered "tolerable," but that just makes you want to sit through an album and politely nod your head to it. Who needs that, anyway? Do you know what this album makes me want to do? Go to my Mexican coffee plantation in Cuba and have a massive tropicana party and serve only ginger ale and soda crackers to my guests. When I wake up the following morning in my Chilean mansion, I shall go before the Roman people and exclaim: "Friends, Romans, countrymen! Lend me your oars!" And then I will go for a romantic boat ride to the middle of Lake Titicaca with myself. 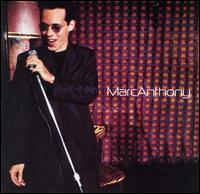 So, what is it with this Marc Anthony album that makes it so special? Let's talk about the album cover since that seems to be a general theme with these reviews. He is sitting there donning intellectual-looking glasses with his head resting on his arms. He is looking at me and telling me with a thick Spanish accent: "Well, whuduya wan' from me?" Never mind that Marc Anthony is as American as I am, I picture him talking with a thick accent. Other than that, this album actually isn't actually special. Unquestionably, it's one of Anthony's finest works, but he still had a long way to go if he was actually planning on impressing me. Unfortunately, I already know about the rest of his discography, so I'm not exactly getting my hopes up! Just like you'd probably be able to guess, this is yet another salsa/tropical album that's stylistically much like his previous two. It's just that the quality of this one's substantially higher. I'll tell ya that apart from the awkward and unintentionally hilarious introduction (see the track reviews for more details), his salsa has never sounded better than "Si Te Vas." 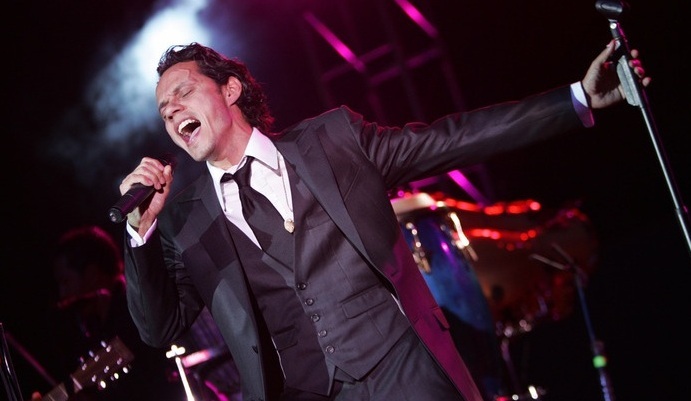 The very first catchy Marc Anthony song can be found in "Me Voy a Regalar." He never gave a more beautiful vocal performance than in "No Me Conoces" even though the melody might be bland. He even uses the closing track to *gasp* try on the underpants of rock'n'roll, "Un Mal Sueno," which is the uttermost highlight of the album. Perhaps what's more important than the highlights is that the lowlights have gotten better. The worst song is "No Sabes Como Duele," which only gets that status because it's just another one of his ordinary salsa songs. The song production continues to be nice although it still had a ways to go to ever be considered "creative." I wish that this guy and his producers would dare to think out of the box every once in awhile, but frankly the inclusion of "Un Mal Seuno" sort of makes me not want to complain about that much. Usually the production is quite constructive, which is something that's easily to appreciate if you've listened to too many Michael Bolton albums. There's a really weird tendency for these songs to have awful, adult contemporary sounding introductions that don't fit the rest of the song. The Wikipedia entry of this album informs us that this won "Tropical Album of the Year" except it fails to tell us if that was from the Grammies or just a guy editing the page who decided to dub it that. One of these day's, I'll probably review ***REAL*** salsa instead of this toothless hybrid. But honestly, this ain't bad. If it's going to win "Tropical Album of the Year," then I say let it!! WHAT HAPPENED?!?!?!? Remember the guy who seemed poised to take over the world with his brand of enjoyable lite-salsa? Remember the guy who had likable, well-orchestrated songs even when the melodies weren't much to speak of? Remember the guy who sang salsa and had, at most, two ballads per album? Heck, remember Mr. Toilet Face who was at least tolerable when he was sucky? This man is gone. What we have in his place is this smarmy Michael Bolton wannabe. 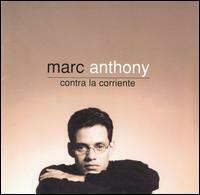 In 1999, Marc Anthony had turned into an enemy of music. He completely reversed his priorities. The salsa is out and ballads are thrust in their place. You might be thinking: "Hm, maybe that's not so bad. After all the ballads in his previous album were tasteful enough." Trust me. These ballads are exclusively pieces of pseduo-dramatic, overproduced excrement. I struggle to find anything even remotely likable about them. The next step in our discussion is to determine what caused this turn for depravity. Friends, Romans, countrymen, lend me your ears, for I will tell you what happened to Marc Anthony: Ricky Martin, the devil himself. He came in riding high on his newfound fame, and with him came a huge following of other Hispanic musicians with similar cut-rate music. The runaway success with their hybrid between Latin and dance music was a major cash cow and everyone made millions. 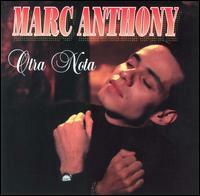 Marc Anthony licked his lips with anticipation of untold riches and he was quick to jump on the bandwagon. So, he released Marc Anthony, a crappy album aimed directly for simpletons with loose pocket books. Just to throw an extra kink in the motor, this music isn't really Latin. Sure some it is, but only a little bit. What happened??? Does "Latin crossover" mean that Latin musicians stopped sounding like they were Latin, but more like Michael Bolton? There are only two salsa-esque songs here, "That's OK" and the ending track, "De La Vuelta." The ending track is OK, but the inclusion of the other one doesn't manage to help matters much because of its status as a piece of crap. I wish I could say that's all, but I have ANOTHER fact that will prove to you how evil this world really is. This fact forever tarnishes what little reputation Marc Anthony had in my eyes. He actually co-wrote most of these songs. That's right. This album was the result of a cold and calculated move for Anthony. Marc Anthony might never have had his ears, but now he lost his taste. Judging by those sunglasses, he also lost his vision. What a waste. As I was saying before I was rudely interrupted, Marc Anthony is responsible for making likable salsa music. Even when his salsa is kinda crappy, it's usually tasteful enough to be non-offensive. Based on my limited experience with salsa, this non-offensive aspect is *the* key. Yes, this is a much better album than his eponymous, the "crossover" success. Lucky us, Marc Anthony actually read what I had written in that review, and decided to return to his so-called Latin roots. In fact, this is to the point where he managed to follow my advice too much to the letter. I didn't want every single song to be salsa, especially if you're just going to use the same freaking rhythms to all of them. A few of these songs start out sounding like they're going to be something else. "De Que Depende" begins like it's going to be some sort of romantic and sweet love song, but then that salsa beat pipes up! You're utterly sick of that beat by then that it makes me go: Grrrr!!!! The saminess of the album was directly responsible for lowering this album score by one degree. The overall score was lowered another point for the inclusion of "Caminare." Unlike any of the other songs, this one actually waits two minutes for the salsa beat to pipe up, but that's not the point. It's boring and an utterly cruddy way to end the album. When the beat does pipe up, Marc Anthony's band is in rare form: A sloppy mess. Other than those two un-ignorable aspects, Libre is about as good as Contra La Corriente. Needless to say, this is so much better than Anthony's previous album that ... geez, I'm still in shock that album even exists. Fortunately, Anthony is gaining much of the credibility back that he lost not just as a singer-songwriter, but a human being as well. Marc Anthony co-writes all of these songs except for one, "Barco a La Deriva," and he suggests that there is some talent lurking within his cranium. He's faaaaaaaaar from being what I'd consider as the standard quality, but ... well he's not that bad. The cream of the crop is "Viviendo," which is in serious running for the song of his career. It's a rewrite of "You Sang to Me" from Marc Anthony, but he completely turned it around. I also have a soft spot for "Este Loco Que Te Mira," which doesn't have an impressive melody whatsoever, but the spirit of it draws me in. Also, "Celos" is an entirely decent opener although that one seemed like they had ideas for it that never fleshed out ....... Well, they should have taken the time to flesh them out! By the way, Marc, I don't think you're an enemy of music anymore. I was just getting emotional. Are we friends, again? I should mention that I rigged this rating system in such a way that there's the same amount of disparity between a 4- and 5-scoring album as there is between a 12- and 15-scoring album. 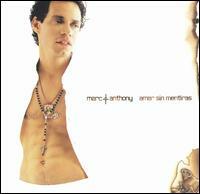 So, even though this album is only one notch above Marc Anthony, it is a rather substantial improvement. The major advantage this has over Marc Anthony is that few of these songs are ballads. Other than that, I'm afraid I have only have more negative things to say about Marc Anthony's third English-language album. He's continuing to pander to the useless tastes of people who listen to '00s pop radio stations. Most of this "music" is utterly horrible, and I wish popular trends never dictated that tripe like this ever had to be recorded. Let's talk about the album cover for a moment. Does it seem odd to you that he's wearing the exact same outfit as the Libre cover? Maybe he's the kind of person who has two dozen copies of the same suit, or he spent a year never changing. Probably what really happened is that it was leftover from the last photo-shoot, and they didn't want to bother taking a new picture. Why not? The music inside are all complete toss-offs that it would make sense. He looks like such a jerk sitting there, too. Yeah, Marc Anthony is a jerk. ROMANS, COUNTRYMEN, CIRCUS CLOWNS, LEND ME YOUR CASH! (Lend, of course, in the more modern sense where I won't pay you back.) 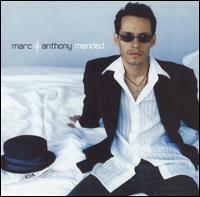 Marc Anthony wants you to go to the CD store and purchase his album!!!! Why, does Marc Anthony want you to do this? Because he SINGS on here and he put his NAME on it, and some record company PUT IT ON THE SHELVES for you to PURCHASE with your hard-earned CASH ... so other people can have your CASH, and ... uh. I don't know. I'm really tired, though. Lucky us, though, this album is just a barrel full of good news. Firstly, he figured out how to speak Spanish again, so I'm in blissful ignorance about the lyrics. He decided not to return to salsa this time, and even though it's stylistically similar to Mended and Marc Anthony, it actually manages to defy the laws of nature and actually be quite good. Well, this is still well below average for most artists, but I'm just stoked that I didn't have to sit through another horrible Marc Anthony album! From Marc Anthony, I can do nothing but heartily endorse mediocrity. The result is Anthony's best album since Contra la Corriente, and the best adult contemporary album of his career. Between the release of this album and the previous, Anthony underwent a high profile celebrity marriage with Jennifer Lopez. As you might know, Lopez is such a magnet for tastelessness that she probably sucked up all of Marc Anthony's tastelessness thus allowing him to make a tolerable adult contemporary album. But seriously, the major change here was obvious --- He had a producer who actually knew what he was doing. Apart from the title track, a rock'n'roll wannabe train-wreck, most of these songs feature nice arrangements. 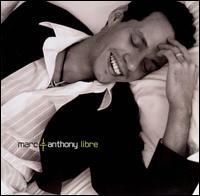 This album also features "Tu Amor Me Hace Bien," which could be considered Anthony's career highlight. Nothing before in his discography embraced his Latin "roots" while still pandering to popular music trends. Furthermore, its arrangements and production is actually constructive and makes listening to it a genuinely enjoyable experience. The album opener, "Ahora Quien," might be a smarmy adult contemporary ballad, but it's actually GOOD thanks to his soaring vocal performance, a likable melody and great arrangements. I know that saying one of his adult contemporary albums is good is such a shocking turnaround for him, but it's here as I live and breathe. Bumble bees can write a thesis paper, elephants can walk on water and Marc Anthony can make an enjoyable adult contemporary album.